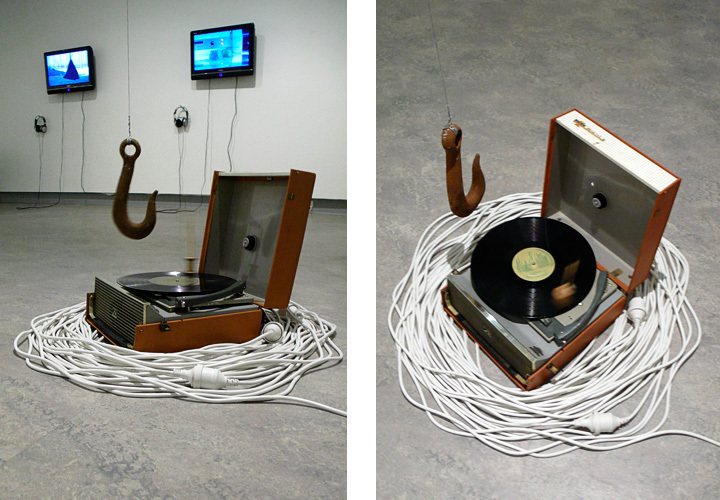 Kinetic installation: Record player, gold pen, wooden spool, tin wire, iron hook, extension leads. 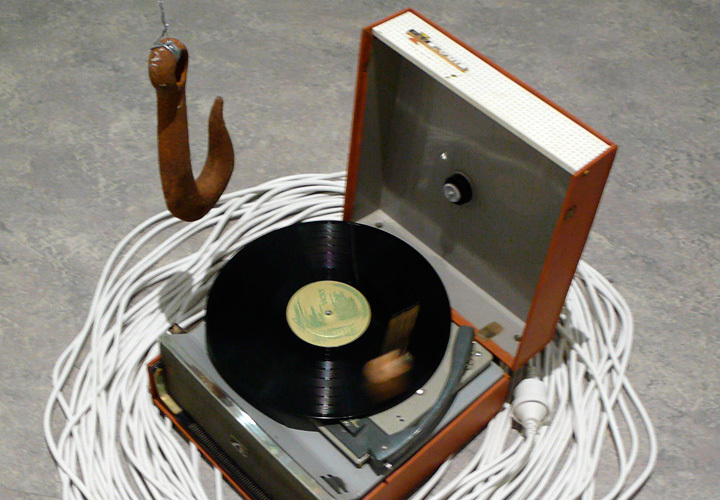 This work is a single piece that appeared in the show Proposition, with Boe-Lin Bastian, Sean Crossley and Ed MacAliece. 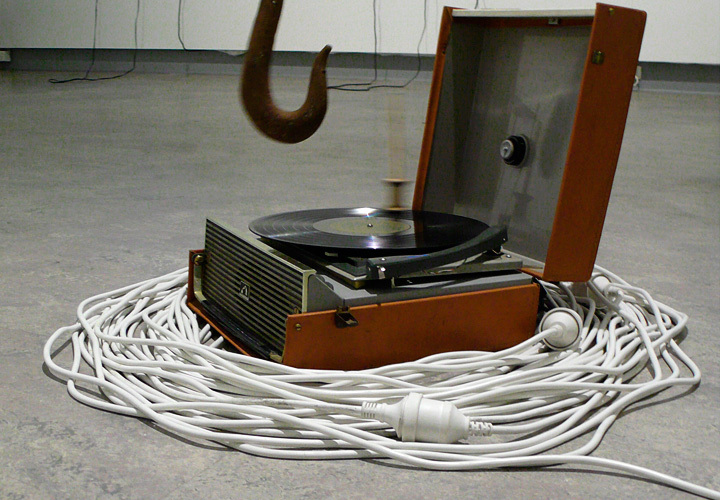 Listen for the beautiful chime that occurs when the pen strikes the hook. 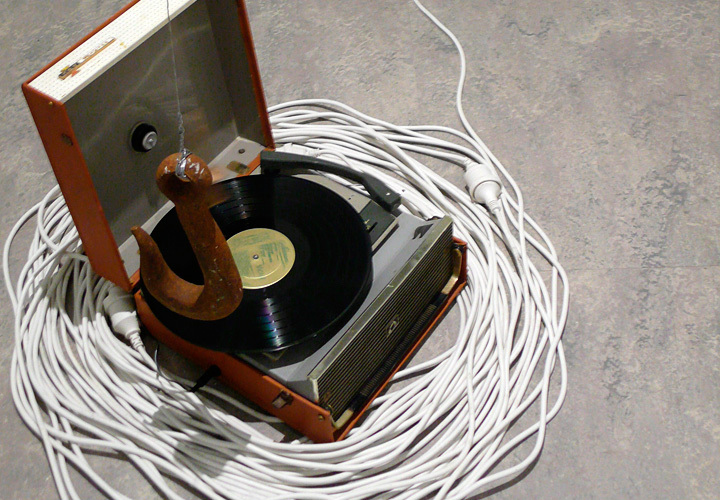 I was amazed to find that such a rough, time worn item could produce such a beautiful clear sound.